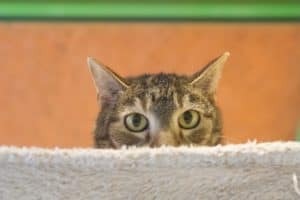 What Pet Sitting Visits Do I Need For My Shy Cat? 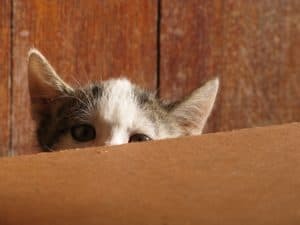 Are you going out of town but are worried about your shy cat? Those of us sharing our lives with shy cats know that they require some special love and attention. As pet sitters, the last thing we want to do it scare your kitty or make her more nervous. We want her to be comfortable and feel as safe as possible in her own home. 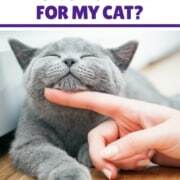 We also want to make sure she is healthy and you have peace of mind, so we work to find the balance of care that is best for you and your kitty! This is an ideal schedule for cats who are usually fed twice a day. 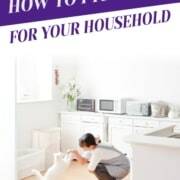 Your sitter will arrive in the morning and enter your home. These visits are just enough time to give your kitty fresh food, water and clean the litter box. Your sitter will monitor all of these to make sure you kitty is using them. Your sitter will also quickly peek in on your kitty to make sure she is safe and alert. This visit is the same as the breakfast visit. Your sitter can also alternate some lights to make sure your house looks lived in. 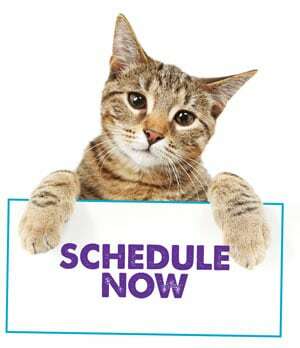 Cats that need to be checked on once or only need to be fed once a day are the best fit for this option schedule. Your sitter will arrive in the morning and enter your home. These visits are just enough time to give your kitty fresh food, water and clean the litter box. Your sitter will monitor all of these to make sure your kitty is using them. Your sitter will also quickly peek in on your kitty to make sure she is safe and alert. 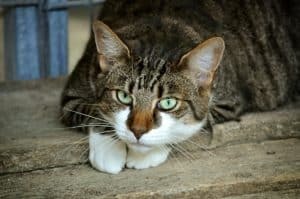 For shy cats, there are some very specific steps we take to keep them as safe and relaxed as possible. Your sitter will want to know where your kitty likes to hide and rest. We will avoid this area except to take a quick peek at your kitty, to make sure she is safe. This space should continue to feel safe for your kitty so we do not want to move into it accidentally. For shy cats, we try to make deliberate noises that are not too loud. That can mean talking, shuffling our feet, humming, etc. By creating some noise it allows the cat to know our location in the house without having to strain or guess. This can eliminate a lot of stress. We love to send updates, but for shy cats, we do not take pictures. We do not want to put that extra stress on your already shy kitty. If you travel regularly and think your shy cat will warm up to an idea of more sitter time, then we can discuss setting up longer visits. During longer visits, your sitter can sit in the same area as your kitty, without getting too close. Your sitter can talk to your kitty or just be present, allowing her to get used to a new person. Sometimes kitties will get used to your sitter and come out to ask for attention! We never push this and it always goes at your cat’s pace. We have had some cats that love their sitter after they have a chance to get to know each other! Work With Us to Keep Your Shy Cat Happy While You are Gone! https://wetnosespetsitting.com/wp-content/uploads/2018/02/254425_WNblogs_3_071118.jpg 900 600 Liana Sanders https://wetnosespetsitting.com/wp-content/uploads/2017/05/wet-noses-logo-420x120.png Liana Sanders2018-02-23 11:01:202019-01-28 19:03:30What Pet Sitting Visits Do I Need For My Shy Cat? 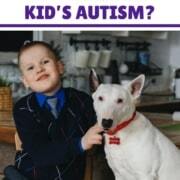 Can a Pet Help with My Kid's Autism? 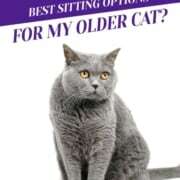 What are the Best Pet Sitting Options for My Older Cat? 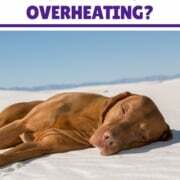 How do I Know if my Pet is Overheating? 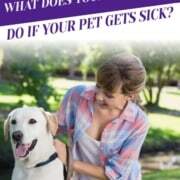 What Does Your Pet Sitter Do If Your Pet Gets Sick? Notice the Changes? 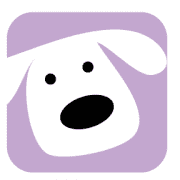 Introducing Wet Noses Pet Sitting! 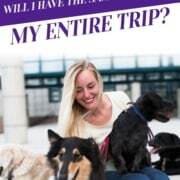 What Pet Sitting Visits Do I Need For My Active Dog? What Pet Sitting Visits Do I Need For My Chickens?